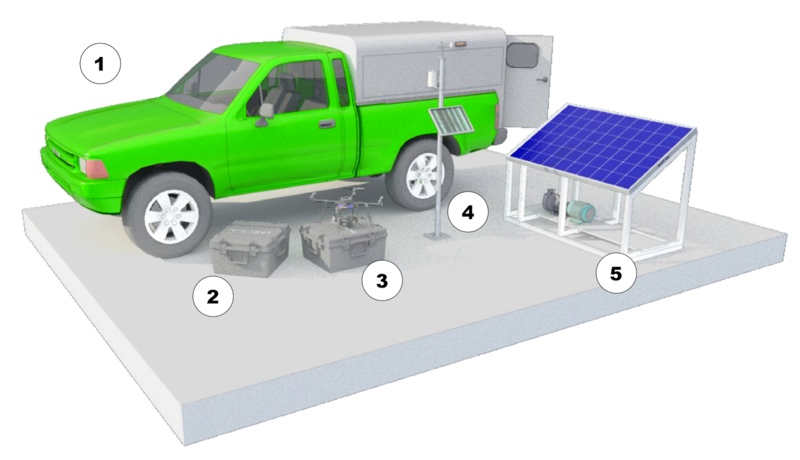 ProgressTH: A Precision Agriculture Mobile Service? A Precision Agriculture Mobile Service? 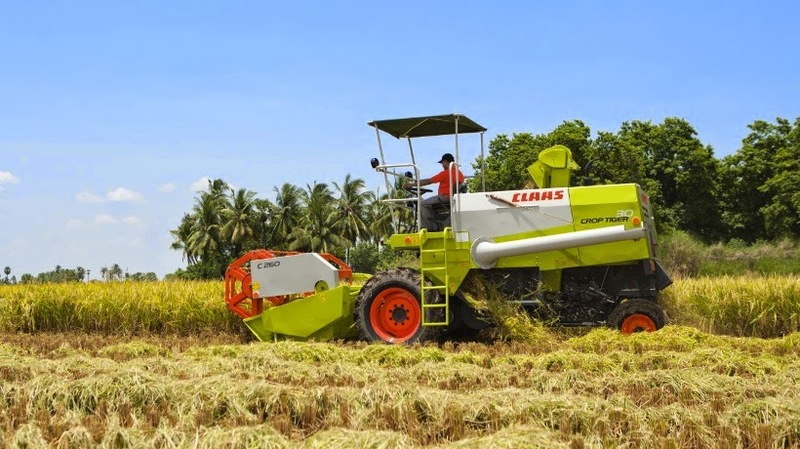 January 21, 2015 In Thailand, one can invest in a large harvester, then earn a living bringing it from farm to farm each season to help farmers harvest their crops. Individual farmers would never be able to afford such an expensive machine, and the cost of and time required to maintain it would leave farmers with little time to do much else. Precision Agriculture Mobile Service: 1. A truck to bring equipment on site. 2. NPK soil testing kit. 3. Agricultural drone. 4. A weather station. 5. An automated solar powered water pump. In a way, harvesters are a collective asset for any given village or district, with a fee paid to access it like the power grid or a supply of fertilizer because, for now, such things are expensive to do on one's own. Likewise, the cost of precision agriculture in both the time to understand it, and in terms of cost to purchase the various tools needed to carry it out is prohibitively high for most farmers. Could a local mobile service be devised where a single set of tools is invested in and maintained, but accessible for a fee by all farmers within a given area? That is the idea behind the precision agriculture mobile service. The service would include a soil testing kit to determine the nutrients present on any given farm. This would allow farmers to use only the amount and specific ratio their fields need, saving them money and resulting in healthier crops. The service might also include agricultural drones to monitor crop health from above. Drones can also assist in mapping and irrigation planning and monitoring. Solar powered, automated water pumps would allow farmers to free up time spent moving hoses and lines around, or manually operating water pumps several times a day to ensure their crops are properly irrigated. Such water pumps could be set on a timer, activated via moisture sensors positioned in irrigated areas, or by using a water level sensor to fill a reservoir. Finally, such a service might include the installation and monitoring of weather stations. Understanding the weather more fully allows farmers to plan irrigation and harvests as well as take preventive measures to protect their property when powerful storm systems are approaching. Such weather stations could even be linked together to provide a clearer picture across a given region. Harvesters are helpful but very expensive. Entrepreneurs generally buy a machine and go farm to farm each season harvesting rice for a fee. For the machine's owner, the fees provide a livelihood, for the farmers the harvester saves time and energy that would be wasted on extensive manual labor. And none of these tools are beyond the reach of entrepreneurs seeking to establish such a service, because all of these tools have been seen in action, used right here in Thailand. Dr. Prateep Verapattananirun's soil clinics specifically test soil for nutrient content, while Dr. Teerakiat Kerdchaoen has deployed weather stations and agricultural drones in the field. And most recently, in the remote hills of Pa Deng, Phetchaburi, we saw automated, solar powered water pumps used to irrigate fields, freeing farmers from the menial task of operating the pumps manually, allowing them to make better use of their time. Together, these systems form what is called a "smart farm," where technology is applied to agriculture making maximum use of available resources to increase efficiency, profitability, and quality for all aspects involved in raising crops. The benefits are then passed on to not only customers, but also the farmers involved in cultivating farmland.